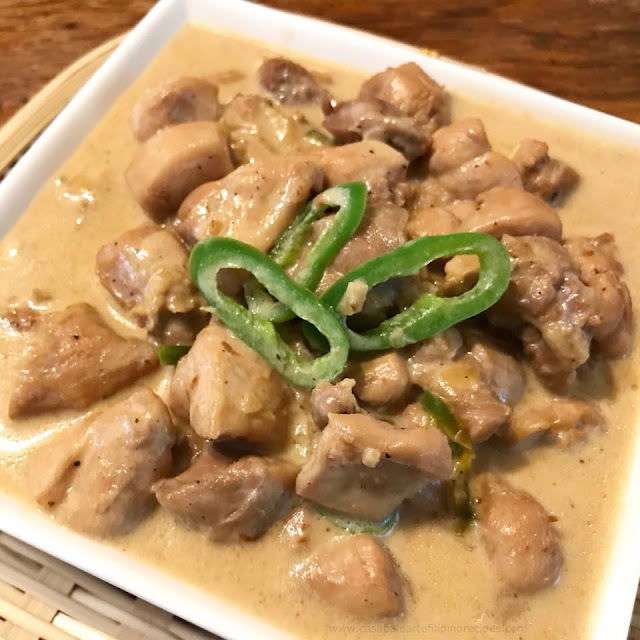 Bicol Express is a popular Bicolano Filipino dish. 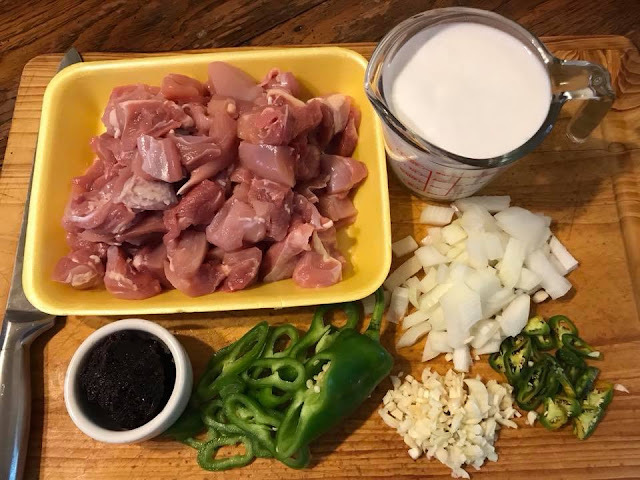 Bicol Express is traditionally cook with pork but with this recipe, chicken was used as the main ingredients. It is made with chicken, shrimp paste, chili and coconut milk. Easy to make and very delicious. Using a deep pan, heat cooking oil in medium heat. Saute garlic and onion until caramelized. Add chicken and cook until it turns golden brown. Add shrimp paste and stir well. Cook for few minutes. Add water and cook for 5-10 minutes or until chicken is almost cooked. Add coconut milk and simmer in for 5 minutes. Season with ground pepper and more salt if needed. Add chili peppers and stir. Continue to simmer till sauce thickens and pork is fully cooked. Remove from heat and serve hot with lots of rice. Enjoy!